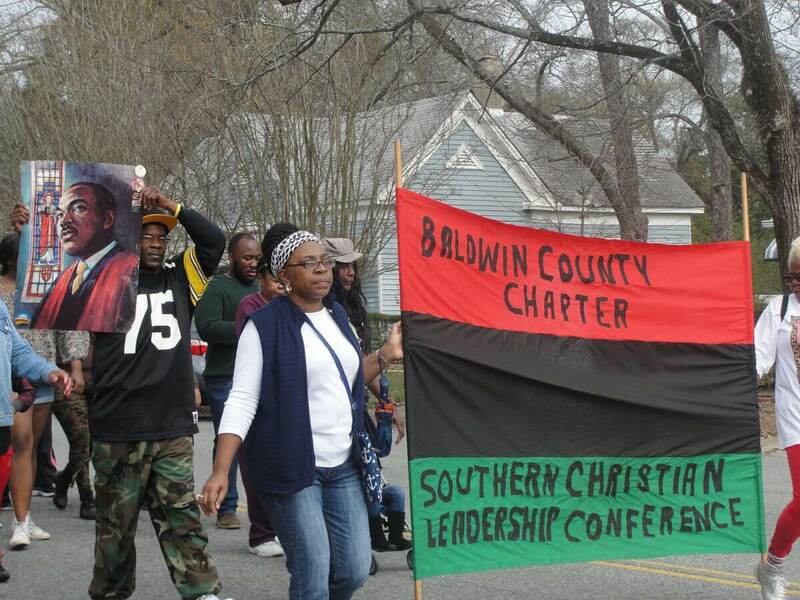 As Milledgeville joined the rest of the nation one day after Dr. Martin Luther King’s would-be 88th birthday Monday, a weekend of events celebrating the civil rights icon came to a head. On an unseasonably warm January morning, several dozen local residents gathered at Huley Park for the city’s annual MLK Day march. Escorted by officers from the Milledgeville Police Department, marchers carried banners, shouted slogans, and sang spirituals in a 1.7-mile march through the heart of downtown Milledgeville ending at the 186-year-old Flagg Chapel Baptist Church, invoking the life and teachings of America’s most famous civil rights icon.